As age increases, so does the risk for cancer. More than half of all cancer cases occur in people over 65. This is especially true for mesothelioma. The average age at diagnosis for pleural mesothelioma — the most common form of the disease — is 69. Despite cancer being more common among the elderly, many cancer treatments work best in younger patients. Researchers now have an idea of why certain cancer treatments don’t work as well in older patients. These important findings were published in June in the medical journal Cell Reports. “While it is clear that primary T cell responses decline in the elderly, there is little understanding of the molecular mechanisms that underpin this dysfunction,” the authors wrote. According to the study, we now know a certain subset of immune system T cells lose their ability to respond to threats as we age. Immune system changes occur as we age. Health experts know this can make us more vulnerable to a number of disease and conditions, including the seasonal flu, colds, other infections and food borne illness. Research has shown immune changes also make us more prone to cancer as the years accumulate. In younger people, a single cancer cell often is recognized by the immune system as dangerous and is destroyed before it can form a tumor. With age, the body may fail to recognize cancer as a threat, and the immune system fails to contain the disease. These same changes also appear to diminish the ability of immune cells to respond to treatments designed to harness immunity to fight cancer. The laboratory of professor Nicole La Gruta at Monash University in Australia used a mouse model to better understand why this happens. The new study revealed virtual memory CD8+ T cells make up about 5 percent of immune T cells in young people. With age, people accumulate many more virtual memory cells, but they do not create a strong immune response in older people. Over time, the body also loses large numbers of very active immune cells known as naive T cells. In younger animals and humans, about 90 percent of this T-cell group are the naive type. In older individuals — often considered to be anyone over 65 — this number drops to 30 percent. Naive T cells are important for creating a strong immune response to cancer. As a result, treatment options that depend on a strong immune system response, such as immune checkpoint inhibitors, CAR-T cell therapy, cancer vaccines and monoclonal antibodies, do not work as well in older patients. Because the majority of mesothelioma patients are older when diagnosed, their bodies are less able to respond well to immunotherapy. According to the study authors, these changes in immunity likely are linked to increasing levels of inflammation often associated with aging. While a certain amount of inflammation will occur with aging, lifestyle and health behavior choices are important, too. In particular, the microbiome — the trillions of bacteria, viruses, fungi and other microbes that inhabit the human body — plays an important role in immune function and inflammation. A more varied microbiome is associated with lower levels of inflammation. Studies show a healthy microbiome seems to support a better response to immunotherapy, too. The study authors note the new understanding of the interplay between aging, immune function and cancer treatment will lead to better therapies tailored to meet the needs of older individuals. This should lead to a future of cancer treatment in which everyone — old and young — receives the most benefit possible from all appropriate therapies. National Cancer Institute. (2015, April 29). Age and Cancer Risk. American Cancer Society. (2016, February 17). What Are the Key Statistics About Malignant Mesothelioma. Monash University. La Gruta Laboratory. Science Daily. (2018, June 19). 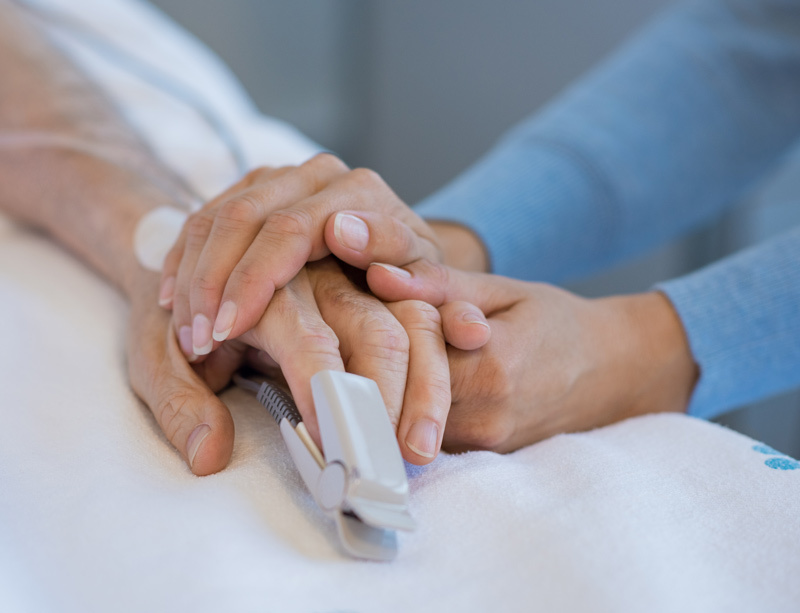 Why older people respond poorly to cancer treatment. Science Daily. (2018, March 3). Antibiotics may impact cancer treatment efficacy.